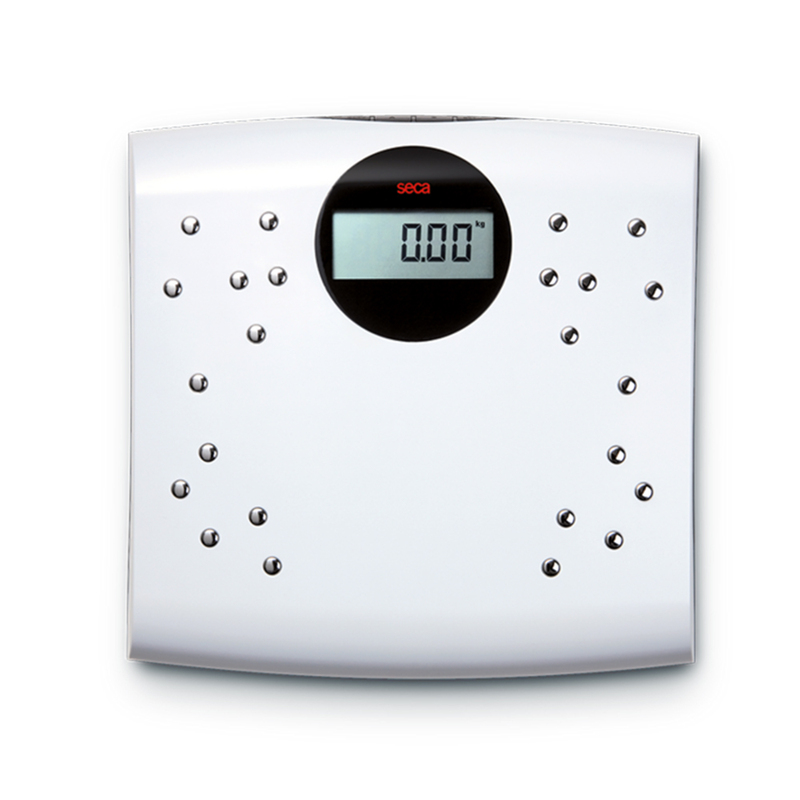 Digital personal scales with 24 chrome-plated electrodes and BW/BF function. The unusually high number of chrome electrodes shows what this scale can do: in addition to weight, it measures body fat and body water and also calculates the BMI. It automatically recognizes each user after the one-time input of age, gender, height and fitness level.